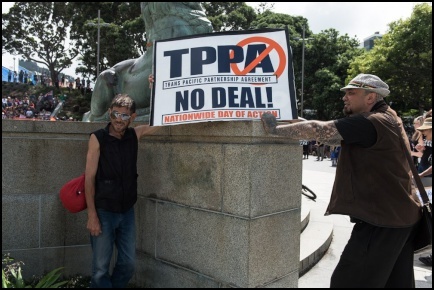 At midday today over three hundred people gathered in the lee of the Cenotaph in Wellington to protest the signing of the Trans Pacific Partnership Agreement. 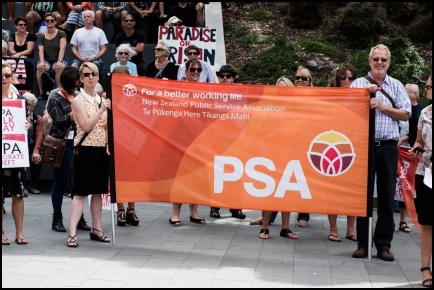 Members of the public joined representatives from The Green Party, Māori Party, PSA, Unite Union, FIRST Union, Peace Movement Aotearoa, New Zealand Nurses Organisation, Rail and Maritime Transport Union, E Tu, Ora Taiao and Mana. Many flags coloured the concrete courtyard including several variations of the Tino Rangitiratanga design, union flags, political party emblems and the United Tribes of New Zealand ensign. 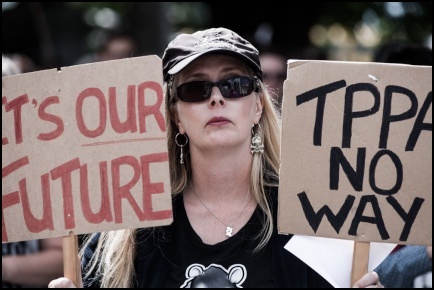 The protest was organised by TPP Free Wellington and the master of ceremonies was “Ant from the Hutt” who was very clear that there was a strict time frame for today’s protest as people had jobs to get back to. 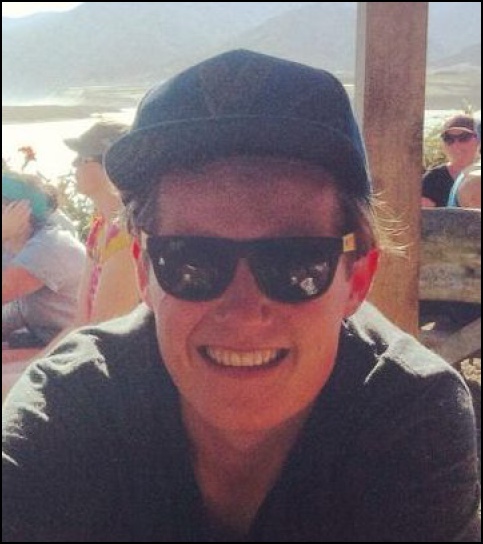 He also spoke to the reasons for the Wellington protest today. 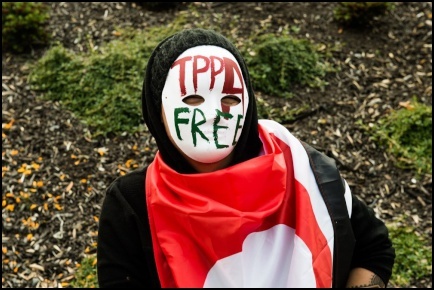 He said that TPP Free Wellington understood that not everyone could take time off work to go to Auckland. 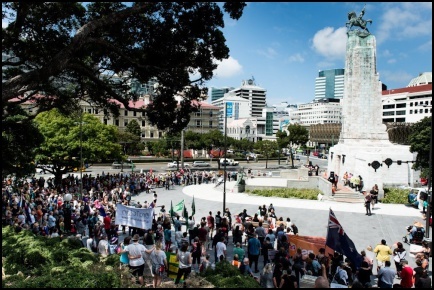 He said that today’s Wellington event was a statement of solidarity with those protesting in Auckland. 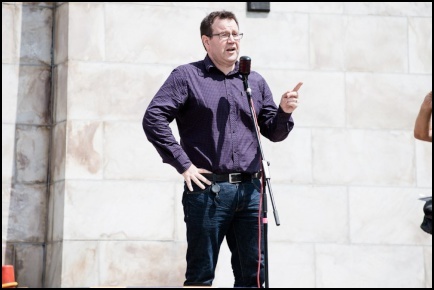 Grant Robertson from Labour and Kennedy Graham from the Greens spoke succinctly and both emphasised that they were opposed to the agreement. 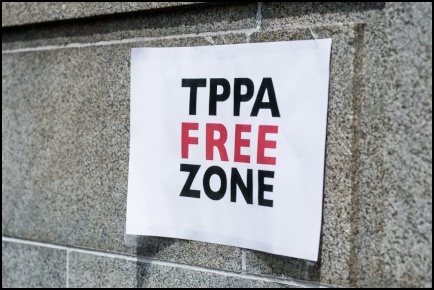 Robertson told the crowd that the TPPA is “so much more than a trade agreement”. 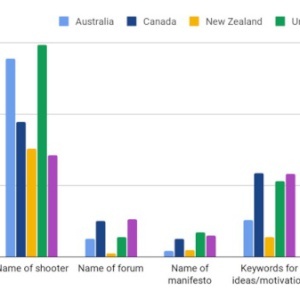 Statements were read from the Māori Party and New Zealand First. 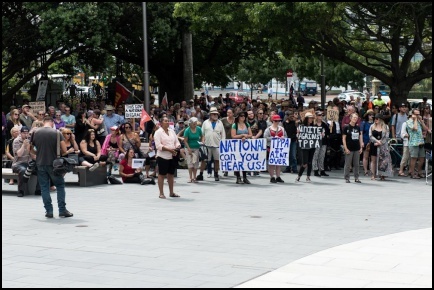 While there was a small police presence, the Wellington Protest was very peaceful and there were many people on the steps leading down from parliament eating their packed lunches. Robert is a publisher for Scoop News and reports on things when time allows. He holds a Master's degree in New Zealand Studies from Victoria University and is interested in the role of cultural products in historical moments. He has written for Salient and The Wireless on topics ranging from the visual arts to the role of memory in the imagining of national identity. 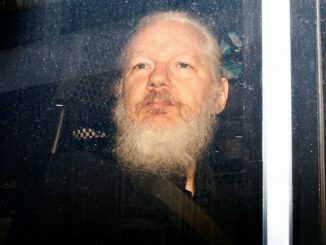 He still can't work out why there aren't ski lifts to Brooklyn.